After Teresa sided with WCKD, Thomas’s only focused on one thing: Save Minho. Minho was captured by WCKD and on his way to be used for the cure. Thomas, with Newt, Frypan, Jorge, and Brenda, steal the train car they believe to be holding Minho. But he isn’t there. They interview the kids inside and learn they were headed to the Last City. Believing all the cities are gone, Thomas has to find it and Minho. Once they get close to the Last City, they are in for a shock, a betrayal, and a fight with lives lost. While the truth will lead to a cure, it will come with a heavy price for Thomas. As the third and final installment of the Maze Runner movies, this has all the action the 2nd movie was missing (FTC Affiliate Disclaimer). But the fights are much bigger, craftier, and more interesting than the first. You will be shocked and laugh throughout this movie. Now to warn you, this review is only in regards to the movie. Not on the book in comparison to the movie (FTC Affiliate Disclaimer). And the end will leave you misty-eyed and satisfied. This is a careful, strong, somber, and well-written end to this franchise. This installment will become a favorite for many fans. While dreaming of retiring in London, Pastuzo and Lucy see a cub floating downstream to his doom. They quickly scoop up the cub and raise him. Many years later, Paddington wants to find the perfect gift for Lucy’s 100th birthday. Now that Pastuzo has died, Paddington wants to make sure Lucy’s gift is perfect. One day Paddington goes to an antique shop and find a 1 of a kind pop-up book of London. He remembers how much Lucy dreamed of going to London and wants to buy it for her so she can live vicariously through its pages. The shop owner tells him the book will be very expensive, so Paddington gets several jobs. One day before buying the book, Paddington goes to the antique shop to look at the book. At that moment he sees a thief stealing it. He follows the thief but the police only see Paddington. They arrested him for stealing. Now the Brown family (Paddington’s host family) and Paddington have to do everything they can to clear Paddington’s name and find the book. But it’s not just who made it that makes the books special, it’s the clues inside. Based on the Paddington books, this movie is magnificently pulled together (FTC Affiliate Disclaimer). The CGI doesn’t overwhelm the live-action portion and the actors work well with the stand in. Paddington feels so real and huggable. You will quickly forget that Paddington is not real. FYI, you do not need to see the first movie to understand this movie (FTC Affiliate Disclaimer). Each character is given a great deal of detail into their lives. From the forgetful neighbor to the newspaper seller to the studying garbageman. You know each of them and how their lives are impacted by Paddington. 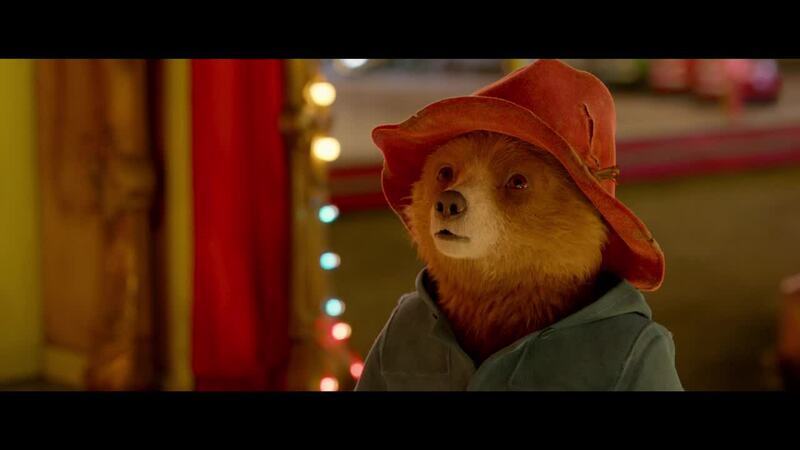 Paddington uses politeness, marmalade, and a hard stare to make friends everywhere he goes. This is a great story for kids and adults alike. And Hugh Grant gives a performance that would make the late Robin Williams proud. This is worth every dime.